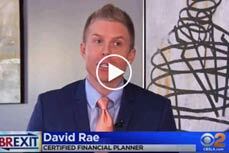 David Rae In the Financial News : David Rae: The Fiduciary Certified Financial Planner to help you reach your financial goals! 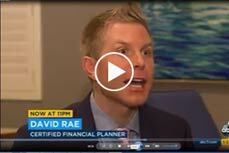 David Rae, Los Angeles Fiduciary Financial Planner has been seen, quoted and published in many national publications including The Today Show, CBS News, Nightline, ABC News, NBC News, E! 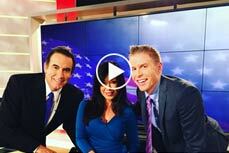 News, Good Day LA, Fox News, KTLA News, USA Today, NBC Nightly News with Lester Holt, Comedy Central, VOGUE, MSN Money, Men’s Health, KCAL News, The Today Show, Reuters, NPR, Marketplace, TIME Magazine, US News & World Report, Yahoo News, Fiscal Times, VOGUE and 401(K) Specialist Magazine and many more. He blogs weekly on financial issues for Forbes.com, where he is noted for his trenchant observations and spot-on wit. He is also a regular contributor to The Advocate Magazine, Huffington Post and Investopedia blogs. He also has his own blog Financial Planner LA. 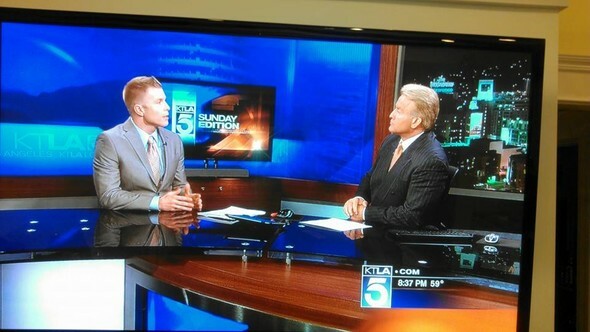 David Rae continues to be LA Financial Planning go-to resource for the Media. 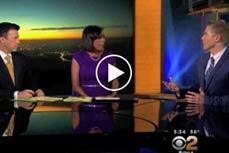 When markets went haywhire on election night, a camera crew rushed to his West Hollywood home and had him in the studio with Sharon Tay the following morning to give his insights into what the shocking Donald Trump election would mean for the Stock Market. Which had been tanking overnight. 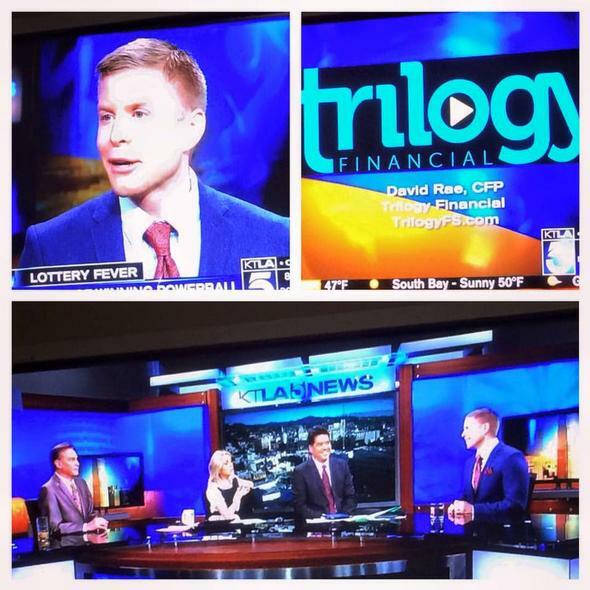 Here are a selected few of David Rae Financial Planner LA TV appearances. The Trump Tax reform is high on the Trump agenda. 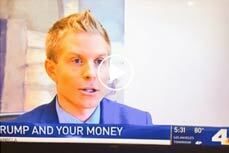 LA Financial Planner David Rae speaks with NBC News and Kim Baldonado on what this may mean for your wallet. 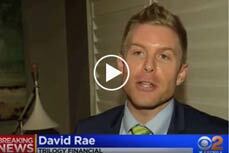 Making mundane financial topics intersting is where David Rae shines. 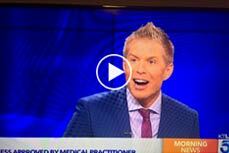 Check out this clip from Fox and Friends discussing what the election may mean for the Average American. The Financial Planner LA blog by David Rae has been named one of the "Top Retirement Planning" Blogs by Creditdonkey.com Read more here: Receipt of recognition from Credit Donkey is not based on investment performance nor is it an indication of future performance. 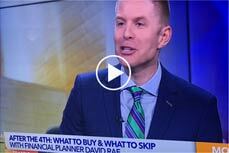 David Rae is a Financial Planning Huffington Post blogger. Click on the HuffPo logo to view his 80+ Financial Advice columns. What it takes to buy a house in Los Angeles. Can the Golden Girls Save Women’s Retirement? Are your Assets in Shape? 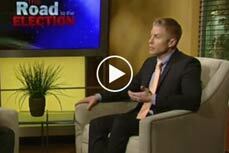 6 Tips to Fiscal Fitness! The Golden Girls Retirement Plan Part Two: Oh Rose, Where Did Our (Pension) Funds Go? 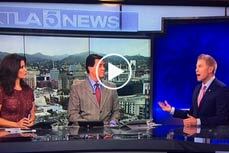 David Rae discussed the LA $15 minimum wage from a Financial Planners point of view. Advocate Magazine recently asked David Rae Los Angeles LGBT Financial Planner to write a series of columns on Financial Planning issues specifically for the LGBT Community. Click here to reach his latest Gay Financial Advice Columns. "Are Gays Really Better With Money?" 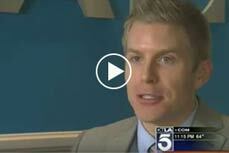 "What Gay Couples Must Know about Social Security"
Are Money Worries Causing you to gain weight? David Rae LA Financial Planner was honored by Registered Rep magazine as an "Advisor with Heart" at their 31st Annual Altruism Awards. 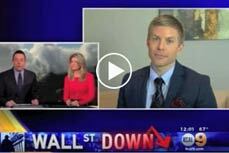 Click here to read their article about David's Philanthropy "David Rae: Racing Against AIDS"
MarketWatch quoted David Rae about financial happiness in its recent post "Retirement is making people more miserable than ever before"
David is regularly quoted in the Financial News. The list of more than 100 articles authored or quoted include the likes of The Huffington Post, Kiplinger, Money Magazine, Reuters, Yahoo News, Desert News, Fiduciary Times, Financial Planner LA, The Advocate, OUT Magazine, Time Magazine and many many more discussing every possible Financial Planning Topic. Comprehensive Financial Planning often includes services such as Buy Sell Agreements, Life Insurance, Long Term Care Insurance, 401(K) Rollovers, Profit-Sharing Plans, Roth Conversions, Portfolio Management, Investment Advice, Protection Planning, Key Man Insurance, Personal Pensions to name a few. Click Here to Join my free mailing list, or to request an appointment. Proudly the LGBT Financial Advisor Near Me Financial Planning for Los Angeles, Torrance, Redondo Beach, Long Beach, Bevelry Hills, West Hollywood, Culver City, Marina Del Rey and anywhere else fun people live.